The growth of EDM would be virtually impossible without the internet. Similar to book publishing, the web has completely and thoroughly disrupted the music industry. Anyone and everyone with a fairly decent internet connection is only milliseconds away from a millenium’s worth of musical knowledge. Through Pandora, Spotify, Soundcloud, Twitter and Facebook we’ve all become DJ’s; discovering, curating, mixing a set list to carry us through the splendid banality of our technology driven lives. It’s during this great moment of musical re-exploration that everyone seems to have fallen in love with electronic music, dance music, or EDM. Ask anyone and they can tell you at least one electronic music producer, or DJ that they love, or love to hate. EDM is, unapologetically, the music of the millenial generation. A generation which has witnessed the greatest technological upheaval since the industrial revolution. A generation that is simultaneously more connected to each other, and seemingly more detached from reality than ever before. It’s the music of 20-30 years old’s who’ve been focused on the rapidly approaching future, while remaining conscious of their past. And despite being more educated than any generation that preceded them, millennials are more than likely to earn less over the course of their professional careers than their parents. Where baby boomers had rock and roll, and Gen X’ers had hip hop and punk to work out their longing for rebellion and personal freedom, millenials have EDM. It’s a somewhat ironic mass revolt against modern society, where subtlety is exchanged for a sense of community that Facebook and Twitter have only dreamed of replicating. The acceptance of EDM into the cultural mainstream allowed the 10 highest paid DJs to command a combined $115 million in 2012 according to Forbes. The highest paid DJ on the Forbes list, Tiesto who brought in a whopping $22 million last year, attributes the much of electronic music’s growth to social media. It’s a match made in heaven where unknown DJs and producers are able to share their tracks, remixes and sets across social media, forums, and blogs. This exposure can often lead to paid gigs which have the potential to catapult obscure producers into international super-stardom. Though electronic music has grown popular, its roots still remain deeply entrenched in underground culture. The rising popularity of electronic music has led to it transforming seemingly overnight from a fringe genre generally associated with LSD, ecstasy, abandoned warehouse parties, and homosexuality, to over the top spectaculars brimming with sensory overload of every kind. In the process week long festivals like Ultra Music Festival, Electric Daisy Carnival and Coachella have become household mega-brands. Their economic viability is very real; just one weekend can generate hundreds of millions of dollars for local economies and promoters. Although some events and promoters have close to 20 years of experience, the real acceleration only occurred in the last half decade. What is even more peculiar is that electronic dance music is nothing new. What we commonly identify as EDM has been around for nearly 45 years, yet it has only recently been acknowledged as the way forward for the struggling music industry. 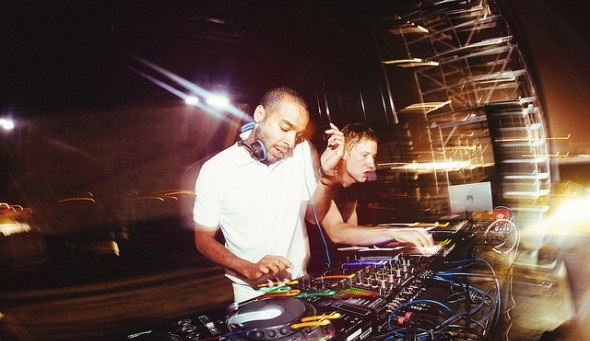 The simplest definition of electronic dance music is music produced primarily, or solely, through synthesizers, drum machines and computers for consumption by party-goers. The earliest elements of electronic dance music began to take shape in the late 1950’s with primitive synthesizers built by the Electronic Music Studios London. Throughout the 1960’s and 1970’s many musicians and bands experimented with various forms of synthesizers like the Moog. But the synthesizer didn’t get its first real moment until 1973 when an Electronic Music Studios VCS 3 appeared on Pink Floyd’s “Dark Side of the Moon.” Electronic dance music as we know it today didn’t really begin to take form until the late 1970’s. If you said electronic dance music began on July 12, 1979 during “Disco Demolition Night” at Chicago’s Comiskey Park, you wouldn’t be wrong. In center field, in between the Detroit Tigers and Chicago White Sox’s doubleheader is where disco had a very public death. That night Chicago radio DJ Steve Dahl had rallied his listeners to blow up disco records in a publicity stunt to “kill disco once and for all.” The seemingly harmless promotional stunt, quickly escalated into a full blown riot leading to the cancellation of the second game. The event is viewed to this day as a backlash against inner city homosexuals, Latin Americans and blacks by most historians and sociologists. 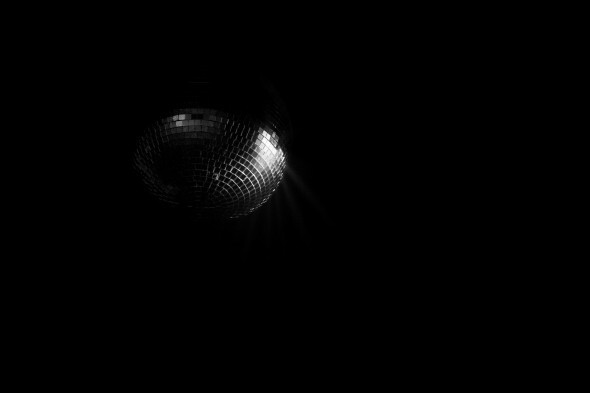 Following the public display of hatred, disco went underground, and into the warehouses of Chicago, and New York. There on the converted dance floors legendary DJs Larry Levan, and Frankie Knuckles played for hours on end mixing together rock, funk, r&b and disco. As the parties grew, DJs quickly began to create their own edits and remixes of classic records to keep warehouse crowds going all night. By 1984 DJs like Jesse Saunders and Vince Lawrence had begun to create their very own productions like “On and On” to spice up their routines. Eventually record store owners would dub this new style of music “warehouse music” (named after Chicago’s “The Warehouse” where Frankie Knuckles was the resident DJ) and later shortened to simply “house music.” There in the sweaty inner-city underbelly, people came together as one to dance away the social ills, writhing and twisting until sunrise to house music. 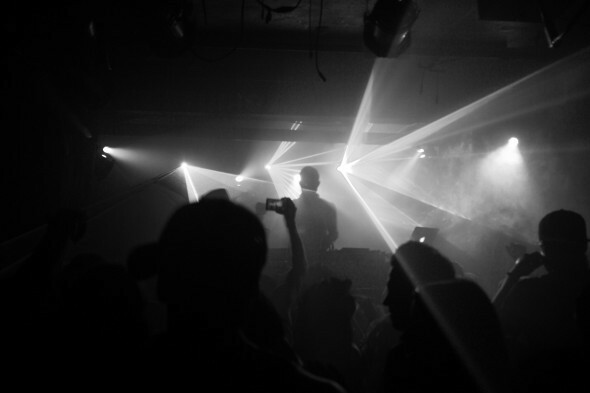 Though house music (Chicago and New York) and techno (Detroit) were born in the United States, it wasn’t until it was exported to the U.K. club scene that it began to become more than just music played in clubs. 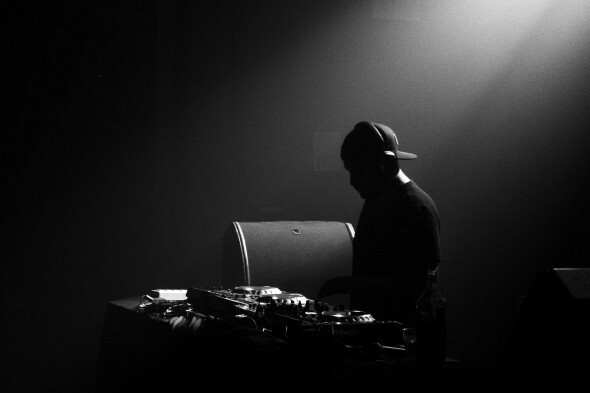 In Europe it found an audience receptive to forward thinking DJs and their addictive baselines. But when London club nights quickly grew out of control, they were shut down. 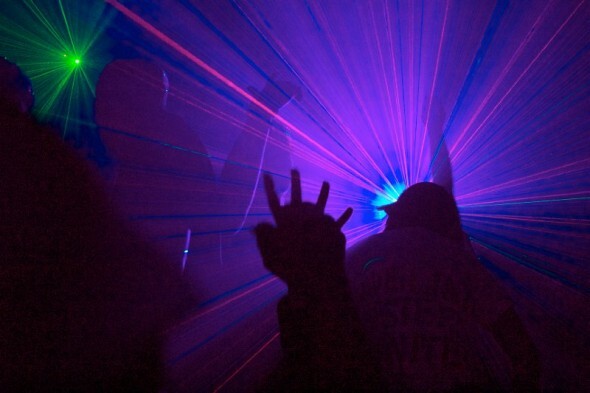 From the late 1980’s through the 1990’s the U.K rave scene exploded as parties grew in attendance from 4,000, to anywhere between 25,000 and 40,000. Though police and public official tried desperately to shut down the events, it only forced the parties further underground. As such organizers and party goers would rely on increasingly sophisticated methods of communication to relay information on parties. Initially relying on pay phones, and later internet chat rooms and forums. The birth, and rapid expansion of electronic dance music, and all of its various sub-genres can not be summarized in a few short paragraphs. That’s what books are for. With its underground parties, secret locations and word of mouth communication, EDM and the internet were made for each other. It would be the internet that would serve as the catalyst for the explosion to come. As internet speeds increased, MP3 players proliferated school yards and file sharing networks sprung up like weeds, dance music slowly began to reintroduce itself to Americans. These advancements were further compounded by the establishment of digital radio stations like DI.FM (founded in a Binghamton University dorm room), Napster (founded in a Michigan University dorm room) and the emergence of social networks like Myspace (founded by Tom). This perfect storm allowed artists and DJs to instantly distribute their creations. In fact, Los Angeles based electronic music Flying Lotus credits the growth of his own career to Myspace. For Americans, who were continuously subjected to the monochromatic sounds of popular radio, the internet provided an escape. Streaming through computer speakers, often at appallingly low quality, was an endless sea of new sounds, textures and beats played in steady 4/4 time. Anything and everything was game as long as the tempo ranged from 118 to 160 Beats Per Minute. What came along with the rising interest in electronic music was an interest in DJ’s who hosted internet radio shows. Legends like Armin Van Buuren, Tiesto, Paul Oakenfold, and John Digweed all hosted their own radio shows for traditional radio. However for the first time they made their sets available for streaming or download via the internet. They had effectively created podcasts before there was an iPod, or iTunes. This new distribution channel helped grow Armin Van Buuren’s A State of Trance into a massive franchise. On March 30th 2013 the weekly radio show celebrated its 600th episode to a sold out crowd of 13,500 fans at Madison Square Garden. 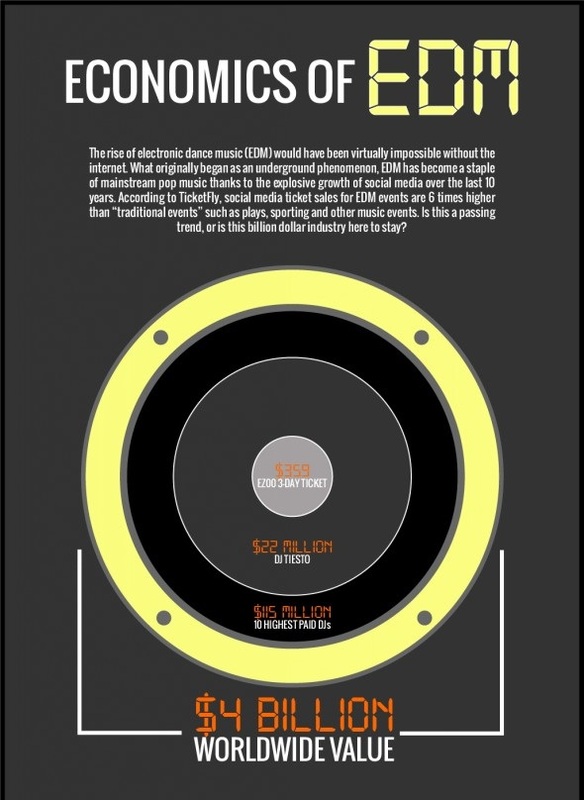 The internet and EDM remain joined at the hip, today social media is the primary ticket sales for electronic dance music festivals, concerts and club nights. According to a report by TicketFly, social media ticket sales for EDM events are six times higher than “traditional events” like plays, sporting and other music events. What is more interesting is that 58% of ticket buyers are usually males purchasing just one ticket. TicketFly speculates that the sense of community among EDM fans decreases desires to pair up prior to purchasing a ticket. This has the effect of increased ticket sales relative to the overall popularity of the performers. North America has had an on-again off-again relationship with music festivals. The latest chapter began in 1999 with Woodstock 99. That summer also hosted the very first Coachella Valley Music and Arts Festival. In the time since, numerous music festivals have sprung up in New York, Chicago, LA, Florida, Oregon and Tennessee. 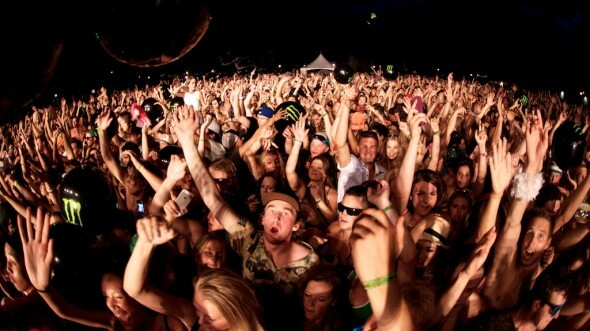 The growth in popularity of music festivals is no doubt helped by the internet. A network of blogs, media outlets, promoters and retailers helps facilitates the sale of tickets, and spread awareness (aka hype) about festivals and performing artists. Like any business, Coachella fought hard to stay alive in its first years, and was cancelled in 2000 due to financial problems. 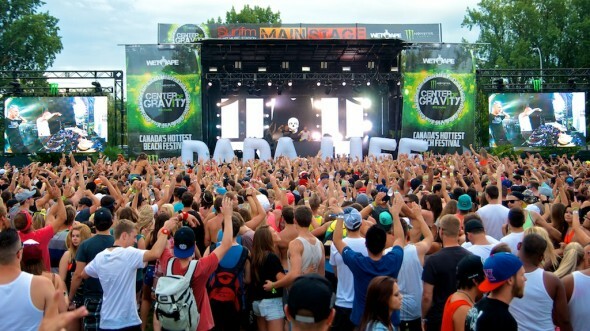 Yet it remains one of the premier music festivals in North America. In 2012 and 2013 the festival generated over $47 million in revenue. Electronic and dance music acts were the major attractions, with over 50 electronic musicians playing to the pulsating California desert crowd. Coachella remains incredibly popular, and is likely the greatest coalescence of current music tastes in the United States. But Coachella is more than just a cultural haven, it generated some very real economic benefits for its hosts. In 2013 the festival generated roughly $500,000 in cold hard cash, or roughly $2.33 per pass sold, for the city of Indio, California. The economic impact of Coachella on the surrounding local economy is an estimated $254 million and is projected to grow for 2014. The growth of music festivals isn’t limited to Coachella, Bonnaroo or Lollapalooza. LiveNation, the largest concert promoter in the world, views electronic dance music festivals as it’s greatest growth opportunity. In 2012 the promotion powerhouse raked in $3.9 billion and acquired a 90% stake in two EDM festival organizers: U.K. based Cream Holdings Ltd, and Los Angeles’ HARD Events. Though LiveNation did not reveal the details of these acquisitions, Cream Holdings Ltd had an estimated $7.8 million in assets in 2011 according to the New York Times. This pales in comparison to the estimated $50 million paid by LiveNation to Insomniac Events for a 50% stake in the Electric Daisy Carnival (EDC) organizer. Both Cream Holdings Ltd (which organizes the famed Creamfields Festival in the U.K.) and Insomniac Events are established players in the electronic music scene, having staged events since 1993 and 1998 respectively. In 2011 Insomniac Events commissioned Beacon Economics to measure its impact on the cities who so graciously hosted their non-stop dance festivals. Beacon estimated that EDC 2010, held at the Los Angeles Memorial Coliseum, generated roughly $42 million for the local economy over the course of two days. 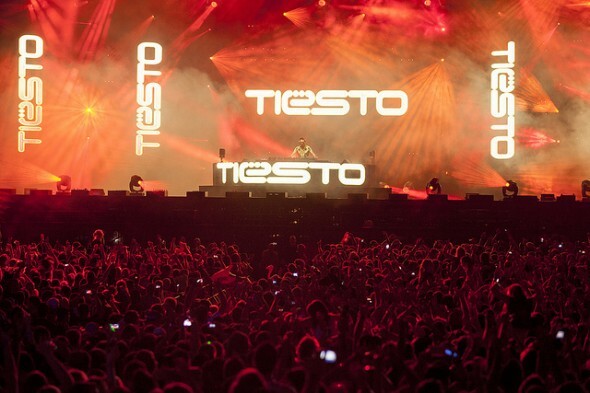 In 2011 the festival moved to the Las Vegas Motor Speedway and expanded its line up to three days. There the festival supported an estimated 1,400 full-time jobs and generated $136.4 million for the Las Vegas economy. As impressive as those numbers are, EDC 2012 was even more profitable. Over the course of three days the festival generated $207.048 million for the Las Vegas metro area, an increase of 57% from 2011. It also helped to support the equivalent of 2,018 full time jobs and over $84 million in labor income. EDC is a very big deal for Clark County, in the two years it has played host to EDC the unemployment rate has hovered around 11.8%. Where is all of that cash coming from? Beacon says 108,000 of the festival’s 115,000 attendees arrived from other parts of the world and spent millions eating, dancing, drinking and occasionally sleeping in the surrounding area. To date, Insomniac claims that they’ve generated $344.246 million for the local economy, which excludes EDC 2013. We estimate that the economic impact of the festival will be in excess of $500 million for 2013. To get a better sense of the immense growth of electronic dance music festivals, we’ll have to go to Canada for the The Monster Center of Gravity Festival (COG). COG is a music and extreme sports festival hosted in British Columbia with humble beginnings similar to those of Coachella. 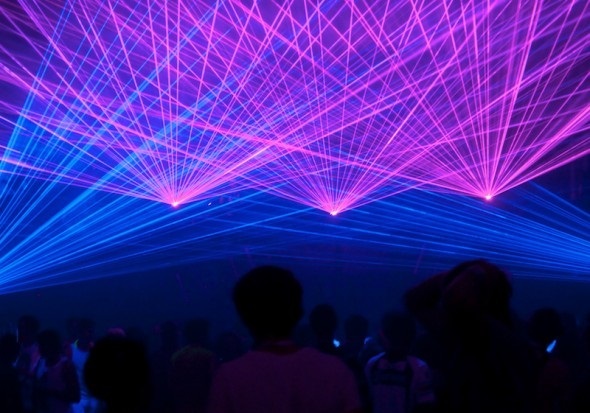 However it only began to book electronic acts in 2009. Their growth over the last four years is hard evidence of EDM’s acceleration into a business powerhouse capable of producing real financial returns for event producers of all sizes. The Monster Center of Gravity Festival, organized by WetApe and hosted on Lake Okanagan, is a three day sports and music event/summer camp. Though dwarfed in size by American music festivals like Electric Daisy Carnival and Ultra Music Festival, COG still lists big name DJs like Kaskade and Tiesto as headliners for its 72 hour party. “Wet Ape was founded in 2007 when some friends and I put together VolleyFest, all we had was a budget of $50,000 and the desire to have fun. Things sort of grew organically from there.” Said Center of Gravity Event Director Scott Emslie. In 2009 Center of Gravity began to invite EDM DJ’s to the lakeside venue and hasn’t looked back. 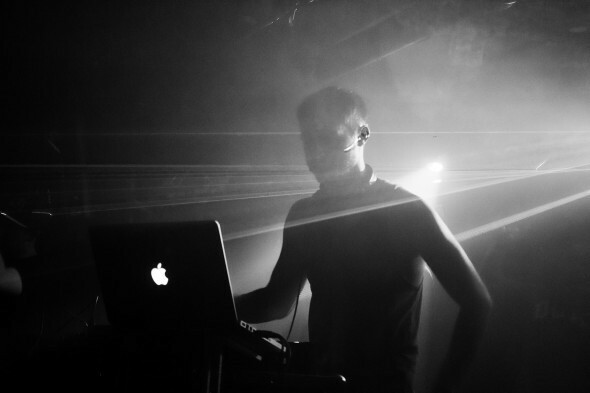 Over the last four years the festival has grown in tandem with the electronic music scene. The budget for the 2013 Monster Center of Gravity Festival is an estimated $1.5 million which will go towards hosting 50 artists and six sporting events. It’s a massive logistical undertaking with over 500 individuals working behind the scenes. The Center of Gravity Festival really began to take its current form three years ago. And since then its ticket prices have increased by 81% for a three day pass. That increase, says Emslie “is largely attributed to an increase in the size of the festival. COG simply offers more to attendees than it did three years ago.” With that comes an increased need for security and emergency respondents. This year COG will spend roughly $70,000 in contracting local law enforcement to maintain order. The increased ticket prices also help to fund significantly improved stages, lighting and sound. Emslie added “People just want more, and the greater number of festivals has increased competition to provide bigger and better shows each year. 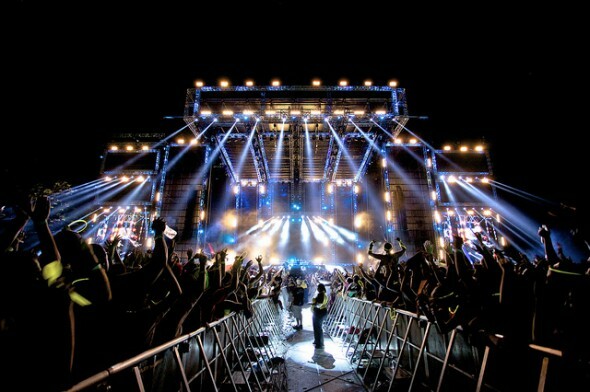 For example we booked Calvin Harris, Deadmau5 and Skrillex for our 2010 festival. Back then Skrillex was basically unknown and we paid him a couple thousand to show up. When we tried to book him again five months later [for 2011] he had become so in demand that it didn’t make financial sense [for us] to have him play” said Emslie. Despite the festival’s impressive growth, it still cannot match the ferocious demand of fans to see big name DJs play at huge festivals. It doesn’t take much math to see that the costs of staging a festivals like COG and New York’s Electronic Zoo are immense. Yet its ticket prices are less than half of Miami’s Ultra Music Festival, which offers multiple day passes for $399 and VIP access starting at $850. What Scott Emslie was quick to reiterate was that rising costs are attributed directly to the rising costs of booking in demand DJs, producing fantastic visual shows, and making sure the sound is impeccable. The promoters at Ultra Music Festival are conscious of the rising costs, and have introduced a payment plan for it’s pricey tickets. So even if you can’t afford to buy your tickets today, you can put your desire to rage on layaway. Which isn’t as terrible of an idea as it sounds. 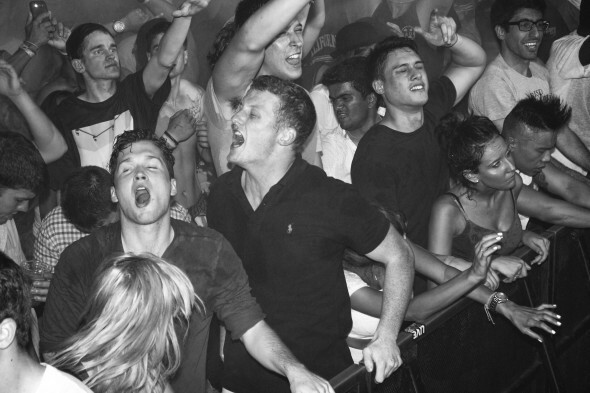 Miami is another struggling city that has reaped the benefits of the EDM festival boom. 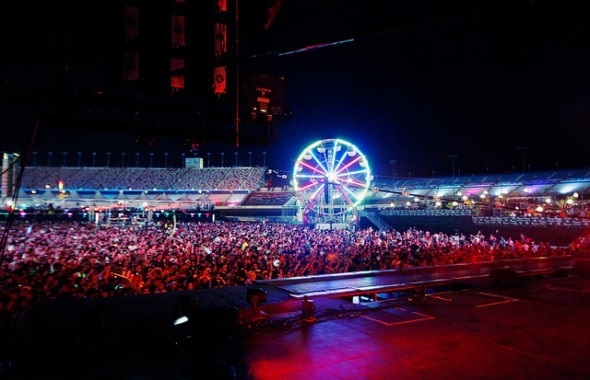 The south Florida city has hosted the Winter Music Conference for 28 years, of which Ultra Music Festival is one of the 500 events underway over the course of ten day days. In just one weekend Ultra, and its 165,000 attendees, generated $79 million in revenue for the Miame-Dade county economy. It also put $10 million in taxes into the coffers of state and local governments. As a recent lawsuit filed against Insomniac Events CEO Pasqual Rotell highlighted, not all of revenue generated passes on to the state through legal means. For Rotell, some of it goes towards greasing the palms of a Los Angeles coliseum officials to the tune of $1.8 million. The case was dismissed, but it does illustrate the very grown up problems festival producers are dealing with as pressure to put on more expensive and more impressive shows increases. Though EDM, and EDM festivals have proven to be as economically viable as any other form of music, it still has many detractors. There are many within its own ranks who dismiss the sudden popularity as a trend, or passing fad. Though they aren’t wrong, the insane salaries commanded by superstar DJs is nothing more than the market responding to years of pent up demand. People have always loved dance music, and for the first time it seems like it’s acceptable for Americans to be upfront about it. It’s entirely possible that electronic dance music won’t remain as popular as it is today. But for an industry determined to not be forgotten by history, continued growth remains the only option. For a a country (and a generation) still coming to terms with its penchant for racism, homophobia, sexism and rabid consumerism, there couldn’t be a more appropriate time for America to pop the EDM pill. Update: If you have questions beyond the economics of EDM festivals, SmartAsset can help. So many people reached out to us saying they wanted help with financial planning, that we built a tool to match you with a financial advisor who can meet your needs. First you answer a series of questions about your situation and your goals. Then the program narrows down thousands of advisors to three fiduciaries who meet your needs. You can read their profiles to learn more about them, interview them on the phone or in person and choose who to work with in the future. This allows you to find a good fit while doing much of the hard work for you. Thierry Godard Thierry Godard is former Editor at SmartAsset who writes on a variety of personal finance issues. He is an expert on topics including home buying, saving money and budgeting. Thierry has a degree in Journalism from CUNY Baruch College.